Did you know yesterday was National Eat Your Vegetables Day?! 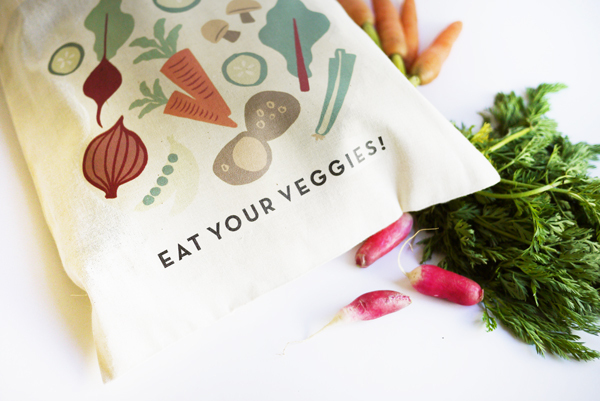 I don’t usually need an excuse to eat more than my fair share of vegetables but if you do perhaps these easy to make iron-on bags will inspire you to eat more. 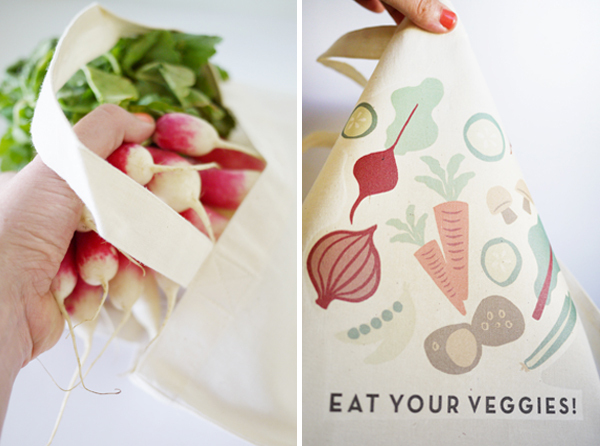 These bags are great for the farmers market or to store your veggies in the fridge! Step 1: Print out the veggie bag template on 8.5 x 11 iron-on transfer paper. Step 2: With scissors, cut out the template getting as close to the artwork edge as possible. Step 3: Iron out the muslin bag if there are any wrinkles. Place the veggie bag template face down in the center of the bag. 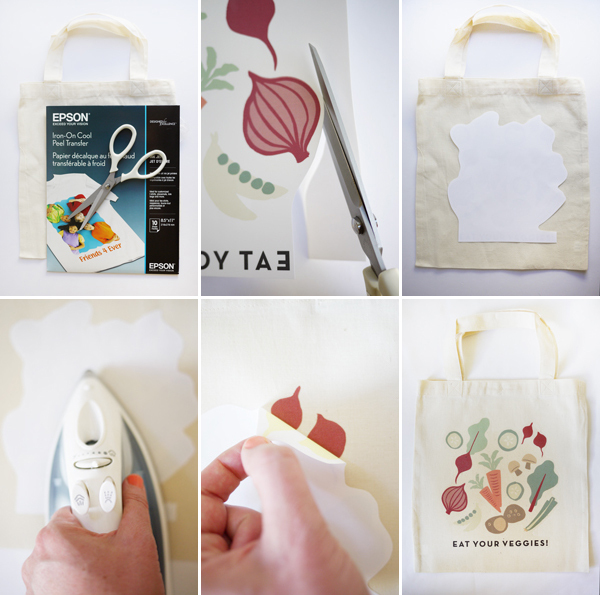 Iron the template to the bag (for best results follow instructions provided with the printable iron-on paper). Step 4: Let bag & template cool then carefully peel the iron-on paper off of the bag. 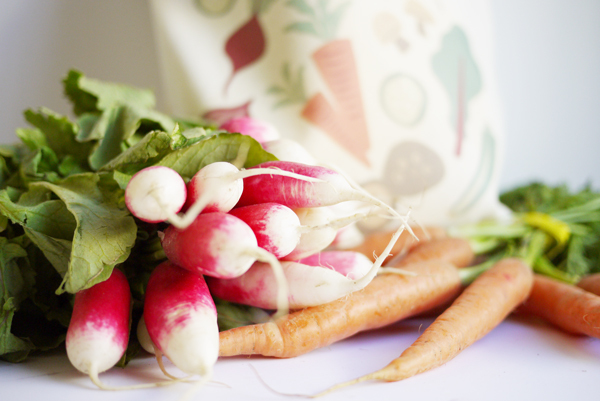 Step 5: Go to the market and fill the bag with your favorite favorite vegetables! Very cute! 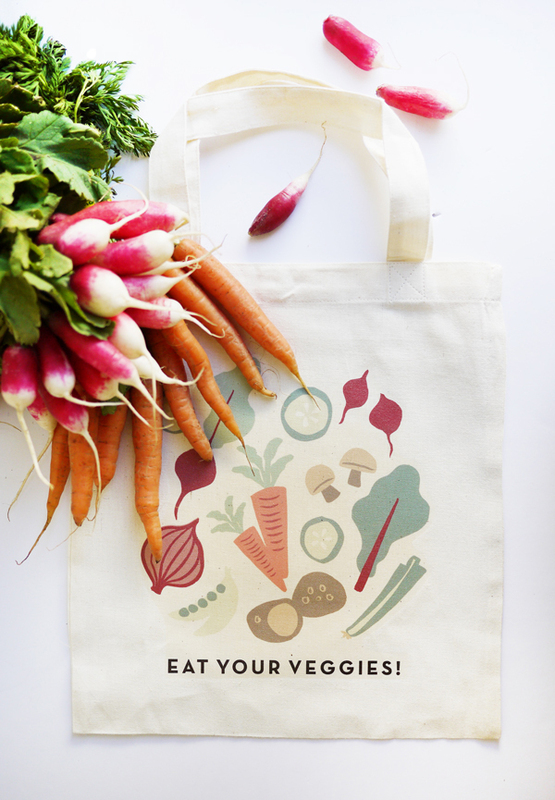 Great gift idea….the bag full of fresh veggies! Love this! so stinkin’ cute! !i heart veggies. Have you bought bags from this site? I looked forever for cheap fabric grocery bags for an upcoming wedding project and was shocked how expensive they are. I’d love a reliable source. So glad i found this post. It’s perfect for my upcoming IndieGoGo campaign. As one of the perks, I want to give away these bags with my logo and some cute fruits and veggies on the back of the bag. I was going to pay for them to get printed which was going to cost me an arm and a leg, but I’ll will definitely give this project a try. It looks super easy. Any suggestions on where to order the bags from for a great price?